Carnival Splendor offers a host of innovative on-board features and facilities, highlighted by a 21,000-square-foot health and fitness center - one of the largest at sea - which features Carnival's elaborate thermal suite and thalassotherapy pool covered by a glass dome. 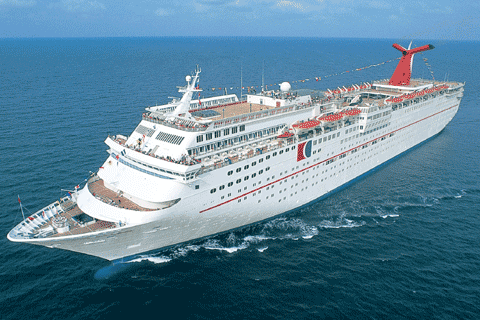 Surrounding the facility are 68 exclusive "spa staterooms". Its family-friendly facilities include a water spray park on Lido Deck, along with a two-level 5,500-square-foot children's play area , part of the line's "Camp Carnival" program - along with a teen club featuring a dance floor, DJ and high-tech sound and lighting system, part of Carnival's "Club O2" program. 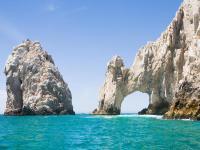 Double your fun in Los Cabos on Carnival® cruises to Cabo San Lucas, Mexico. 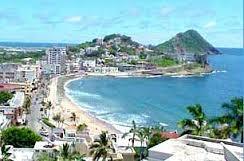 Tucked between golf courses and desert mountains on Baja California’s southern tip, Cabo San Lucas straddles two oceans—the calm turquoise Sea of Cortez and the crashing blue Pacific. 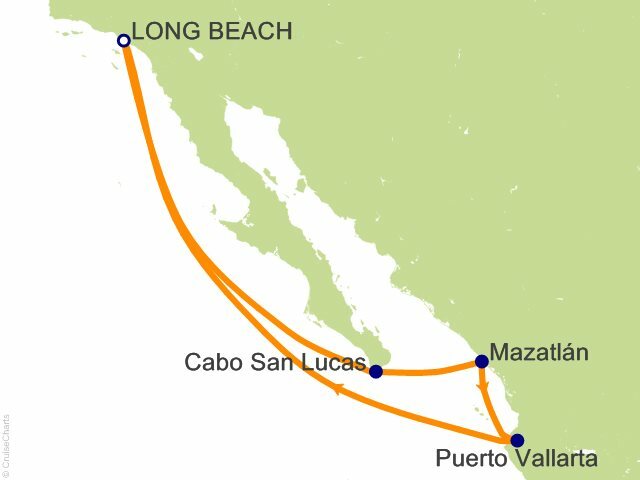 With 18 pristine miles of coastline connecting your port to colonial San José del Cabo, you get two seaside cities in one Cabo San Lucas cruise.